I've been playing with Mixed Media since I took a workshop in February and I'm loving it. 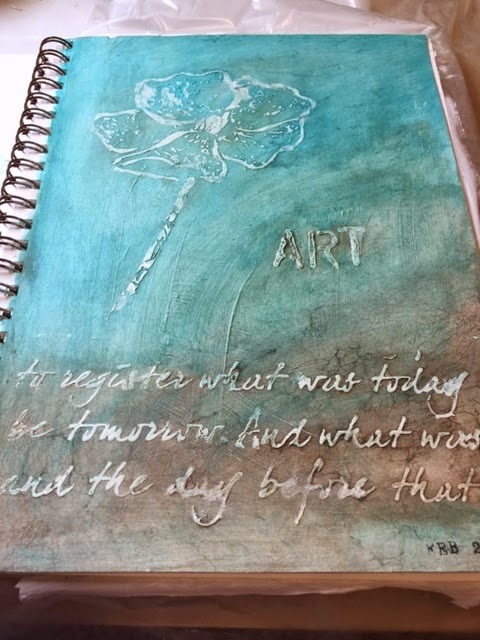 One of the things I've started is a Mixed Media Journal where I create a different "master piece" on each page. Definitely some are working better that others, but it is a great way to try new techniques! I wanted to share the opening page to my journal. I really like how it turned out. I tried to stretch myself as far as colours go. I've discovered that I'm a bit predictable when it comes to colour choices - mostly earthy tones - browns, oranges, yellows, greens. In this piece I did use browns, but I added in teal. I have another page almost completed. They don't take very long to do - you spend more time waiting for things to dry than actually painting. I can't wait to play some more this weekend. I'm planning a class on April 12th for 10am-3pm - you'll be able to make a canvas bag or 2 pieces to hang on your wall (your choice). If you're interested in attending, please email me or click here to reserve a spot. 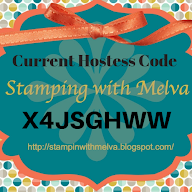 Interested in some last minute stamping? Bokeh - Have you tried this technique? Paper Pumpkin - You need to check it out!